If you have ever got on board the train from Manchester Piccadilly to London Euston on a weekday morning, you will know all about the number of professionals heading down to the capital for the day or week. It is such a common sight to see people working in London from offices all around the UK, but you have to start wondering why they don’t just open an office there to save all of the travelling. As you are reading this blog post, it is pretty likely that you are in the same boat. There is a good chance that you have never even considered the idea of opening up a second office, but perhaps it is something worth casting your mind across. There will be a lot to think about and costs to deduce, but you may find that it is actually in your best interests. Staff members who have to travel down to London for work will likely suffer from an element of fatigue. It is surprisingly tiring travelling, even if the journey only lasts a couple of hours. This would of course be removed to a large extent if you were to open up a second office; you would simply employ people who lived on a more local basis, or relocate staff from your existing office who would like the opportunity to move somewhere new. Fewer hours travelling means more hours working – this ultimately can lead to more productivity and profit. It is no surprise that London businesses get a lot of clients on a local, national and international basis, so this is something you could currently be missing out on. If you are based in Burnley, you might have a tough time in persuading a Barcelona firm to work with you, but you might not have the same problem if you had an office in London. It would show that you are part of the wider market and have the dreams and goals to be one of the big boys in the business – even if you have an office in Burnley too! Whether you want to attract business from Barcelona or Harrow-on-the-Hill, there are some brilliant places to open an office in London. 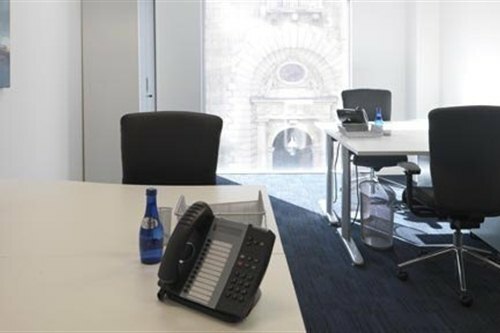 If you are thinking of starting out with only a couple of employees, check out the serviced offices London has to offer as you should be able to find something the right size. Of course you will be able to find much bigger spaces as your offering blooms in the capital. The next step is to figure out whether a new office in London would work for you on a financial basis. If you are spending lots of money on transport and accommodation, you might find that it makes sense to allocate spend towards business premises instead. You should factor in the potential new business wins you could achieve, as well as any relocation packages you might want to offer. You might be surprised at how affordable this option can be!